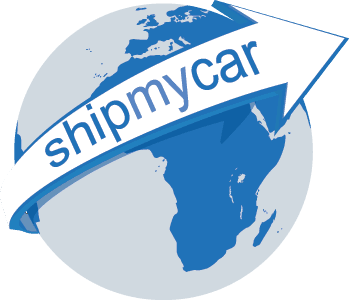 Might seem obvious but if you are shipping a car you have just purchased in the USA, you will need to make sure that you have the original title/registration document and a bill of sale from the previous owner to yourself. As of April 2014, you do not need to transfer title to yourself via the DMV, simply put your details on the back. If there was an existing loan/finance on the vehicle, the title will be in the name of the lienholder / bank that has provided the finance. In order to ship the car you will need to prove there is no longer a lien on the vehicle. This can be done by either having the car re-registered in your name and removing the lienholder from the title, or by providing a letter from the lienholder stating they have no further interest in the vehicle. Car should ideally be shipped with no more than one-eighth of a tank of fuel. As we ship by container it is perfectly safe to place spare parts within the boot of the vehicle and to have them shipped back with the car, these can work out cheaper than buying in the UK. Also things like tyres/upgrades can be cheaper in the USA so have them fitted prior to shipping. If shipping a car newer than 2010 from New York, we will need proof of payment for the car, this can either be a bill of sale showing zero balance remaining or a bank statement showing the payment to the seller from your account. If shipping from Long Beach we will require a Power of Attorney form completed and either notarised or witnessed by a solicitor and officially stamped. This is for US Customs and Border Control reasons and only currently (April 2014) applies to Long Beach. The best way to pay for the car is to use a foreign exchange broker. We recommend TorFX – they can carry out a same day transfer from UK to USA and will give you much better rates than the main banks will.